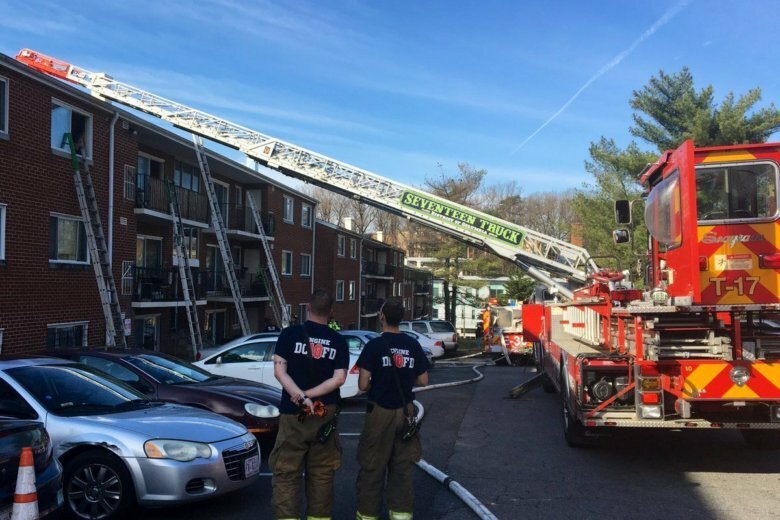 D.C. Fire and EMS rescued one person from a burning apartment unit in a three-story building on the 4700 block of Benning Road, SE around 9 a.m. Monday. A fire in a Southeast D.C. apartment building has left one person fighting for their life, fire officials said. D.C. Fire and EMS rescued one person from a burning apartment unit in a three-story building on the 4700 block of Benning Road, SE around 9 a.m. Monday. They were transported to a hospital with injuries considered life threatening, the department tweeted. Investigators were still working to determined the cause of the fire as of Monday morning. One cat was found dead and removed by animal rescue workers.